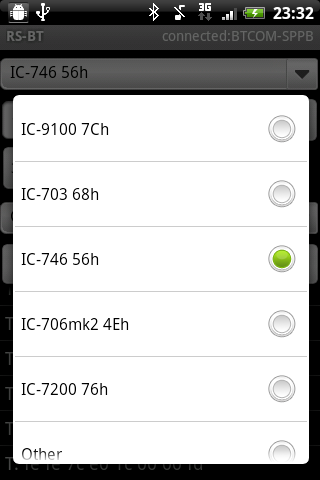 Control ICOM Rigs from Android SmartPhone. I got a Android (Version 2.2) phone, HTC Aria. 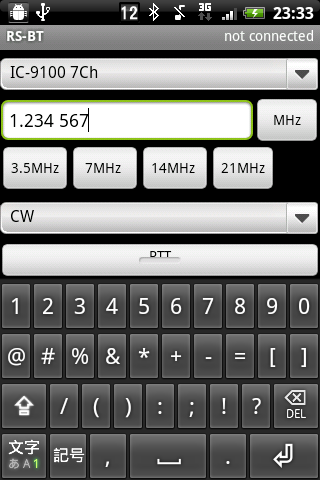 This phone supports Bluetooth SPP profile. So, I thought it is possible to control transiever from my phone. 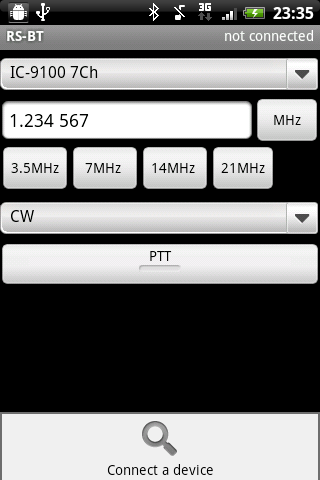 1.1 Get Bletooth SPP module. I used SBT1-T-S by szparts. 1.3 Connect your CI-V interface to "remote" of your tranciever. That was Licensed under the Apache License, Version 2.0. 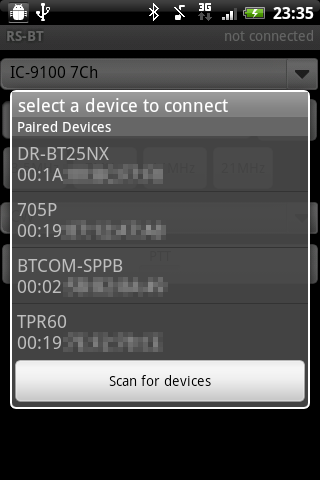 2.2 Connect your interface from " MENU - Connect a device". If you used "SBT1-T-S", the device may be named "BTCOM-SPPB". 2.3 Select your tranciever from model Spin. If you can't find your tranciever's name, don't worry, you can change CI-V address of your tranciever. Please refer to manual of your tranciever. Now, you can control your tranciever from android !